Even if we are all aware that weddings are not possible without both the bride and the groom, we already consider and dub weddings as “the bride’s day.” Traditionally brides are the ones who would be spearheading the decision making of every wedding since brides would tend to have stronger opinions especially when it comes to wedding preparations. It is common and even seen on television shows and movies about brides who would play the most active role in every wedding preparation. From the kind of dresses to be worn by the guests down to the food, the bride would want to play an active role in every preparation stage of what is also dubbed as one of the best days of their lives. 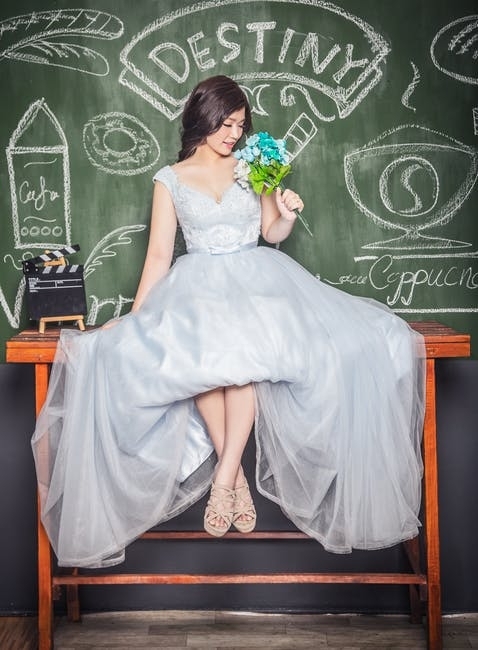 Due to the myriad of things to think and plan about, oftentimes, brides would also be portrayed as a war freak in movies and would often get dubbed as “bridezillas” since when the wedding day would loom over and everything seems to be incomplete, they would get too overwhelmed and stress would take over their excitement for the wedding day. There are so many things to think about: the overall theme of the wedding, the guests to be invited, the sending out of invitations, the giveaways, the food to serve during the reception, the church and reception venue reservations, and the list goes on and the bride just wants to supervise and be involved in the whole process of the preparation stage. Sure, they could always hire a wedding planner but not everyone can afford to hire one and even if they could, the brides can still get overwhelmed with all the tasks that need to be done and items to be used. 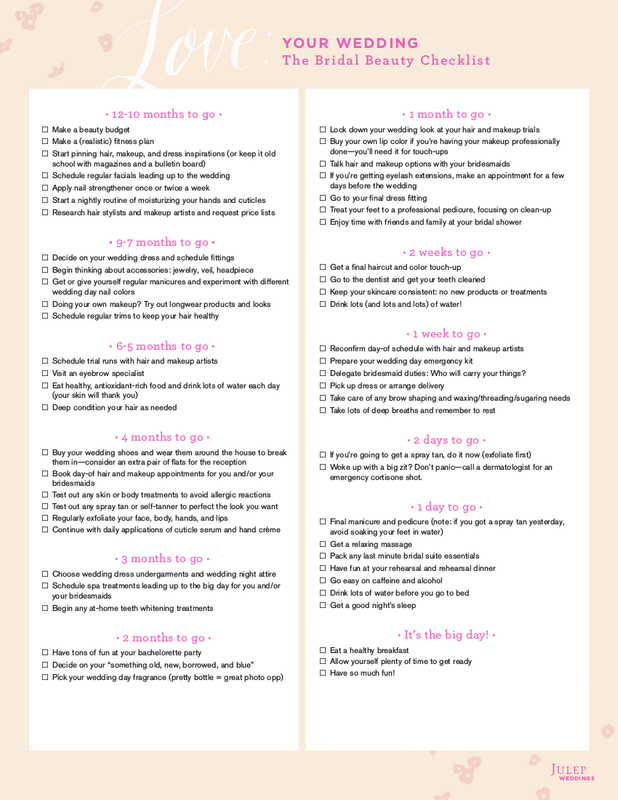 To avoid situations wherein the bride would already start making tantrums and pushing people around that might often cause the wedding to be called off (like what we often see on weddings), a checklist for the bride’s wedding preparation is just what every bride needs. 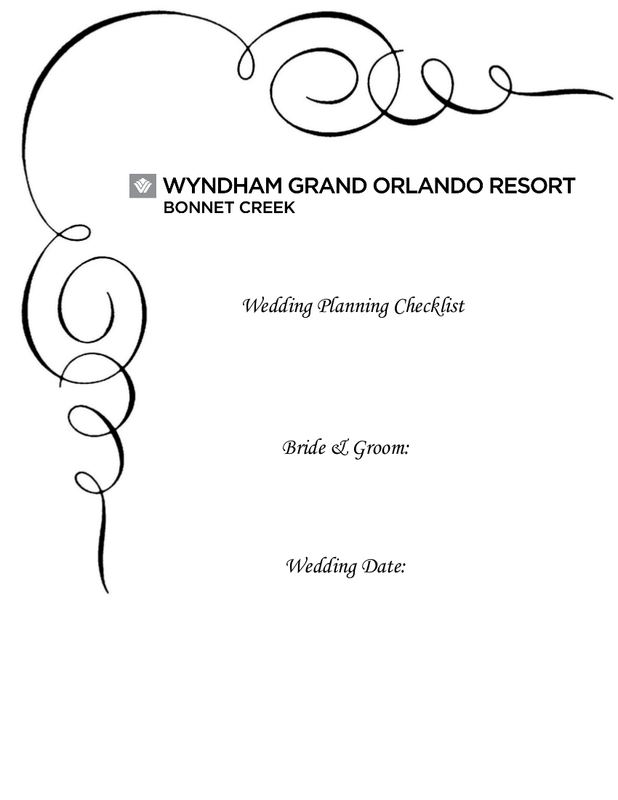 Everything that needs to be planned will be written down in a single setting, which is the wedding planning stage, and the rest of the process will be done according to the checklist which will serve as the guideline during the entire preparation process. 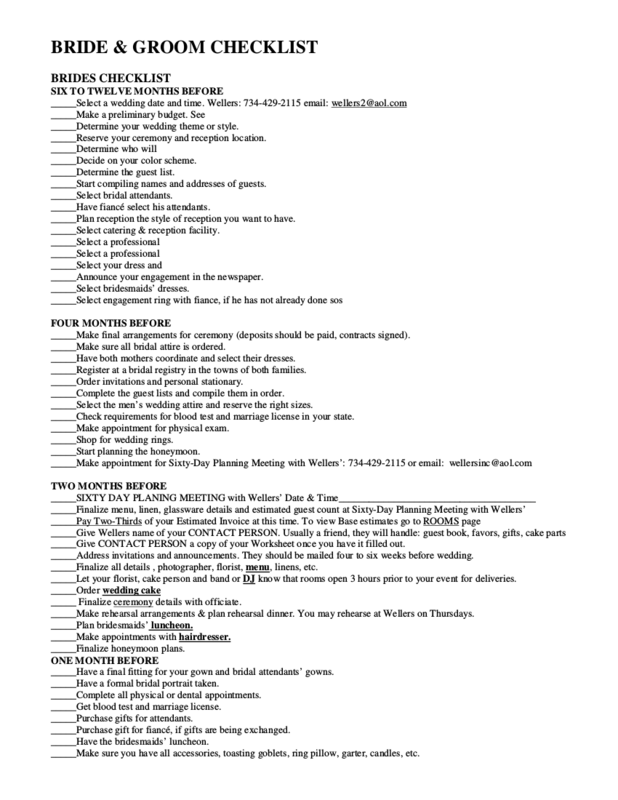 Instead of having all the plans all over the place, with the use of a checklist, brides will be able to keep their cool and will have everything organized when the wedding day looms to a close. 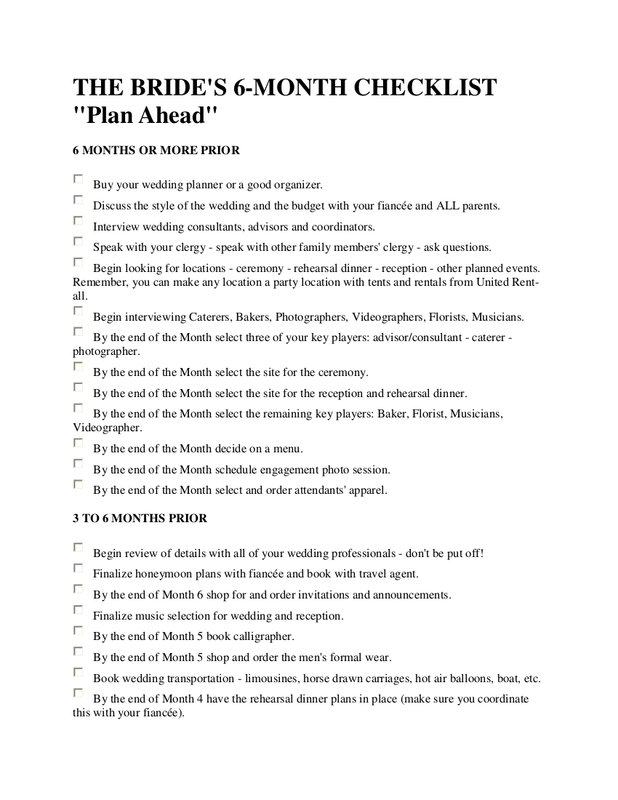 What Are Checklists for Brides? 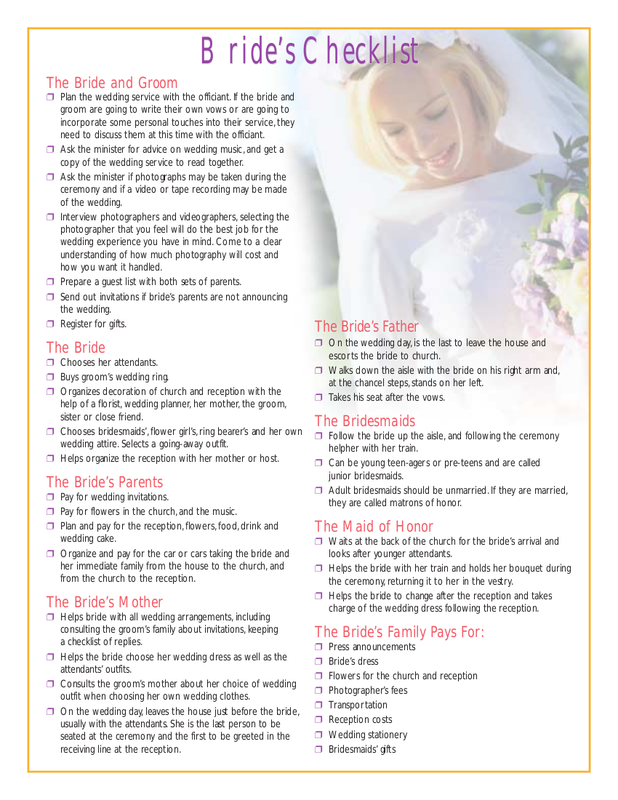 Checklists for brides contains a list of the things to prepare for the wedding. 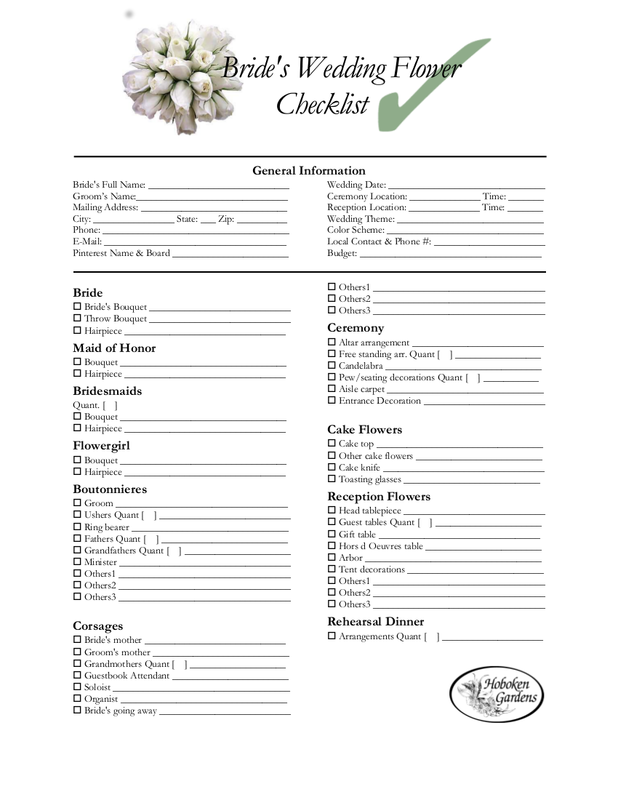 It is similar to a checklist for weddings only that a bride’s checklist is more catered to the tasks the bride wants to be involved in. 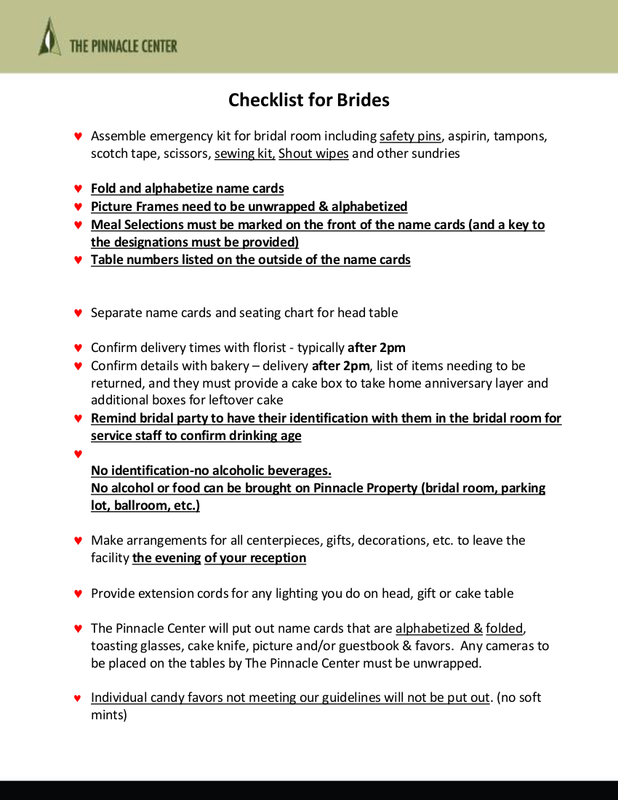 Checklists for brides are thoroughly detailed as brides would want things to be so. 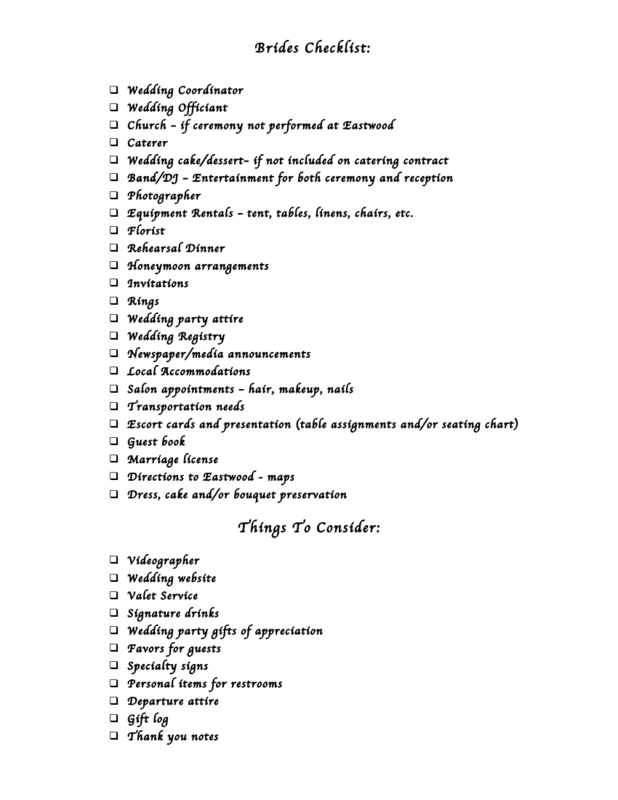 Checklists for brides serves as a guideline for brides so that they will have matters and things for the wedding in order and manageable. 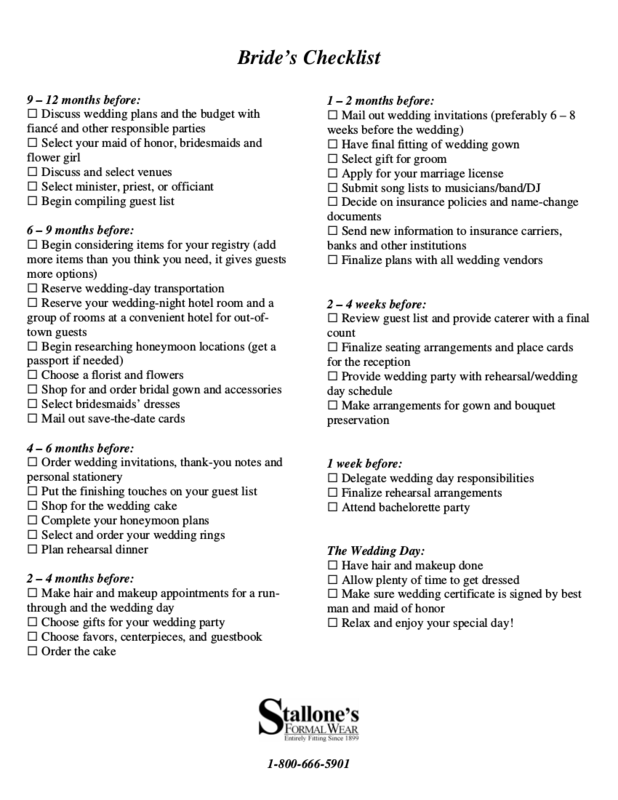 The making and the writing of the bride’s checklist could be done in one sitting wherein the bride and the groom, and for some with a wedding planner and even their parents, would be able to lay out all the tasks that needed to be done as well as the things that has to be prepared for the wedding. By then, everything that is needed for the preparation will be listed down. 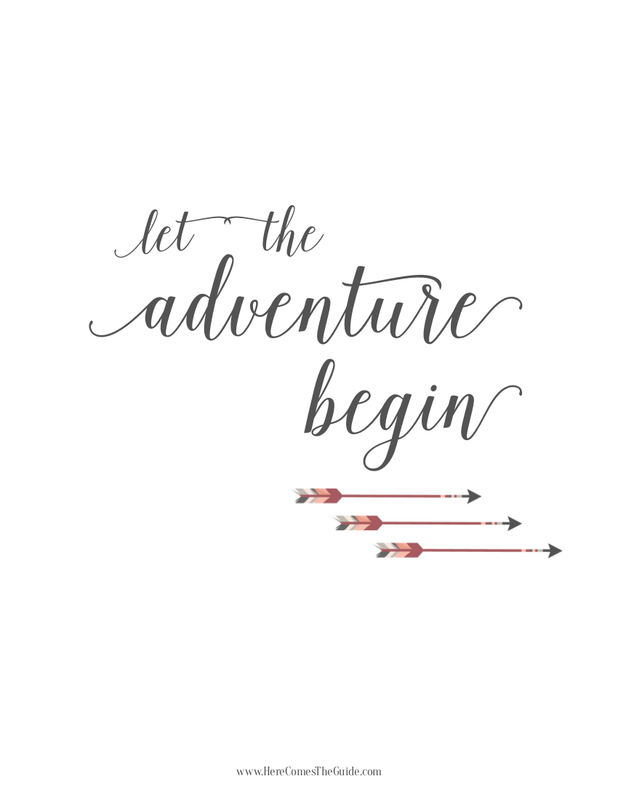 For the succeeding days and months of preparation, the bride will have everything organized, unlike those brides who get stressed and overwhelmed since they do not have a checklist that will guide them from the start of the wedding preparation and throughout until the wedding day. 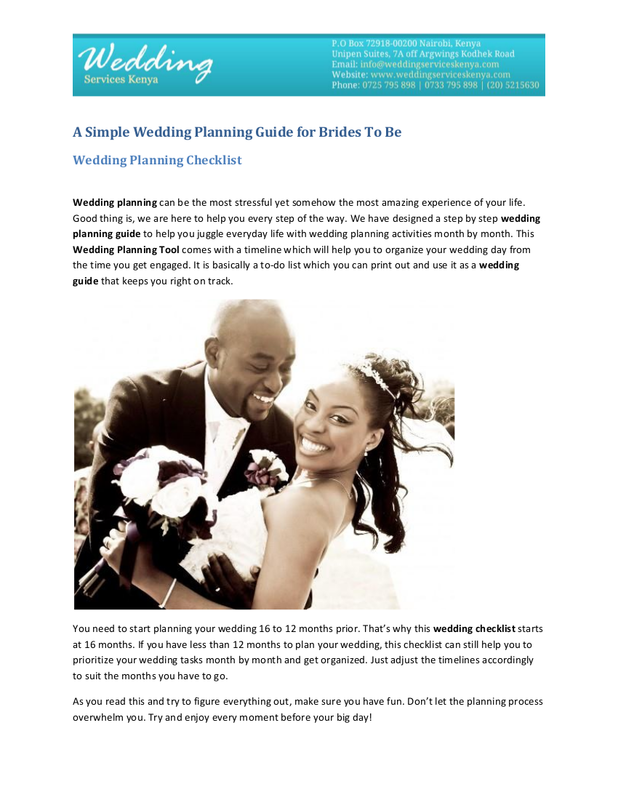 Here are common wedding planning decisions the bride and the groom should plan and decide together. However, most of the time, the bride is the one who would get stressed over. 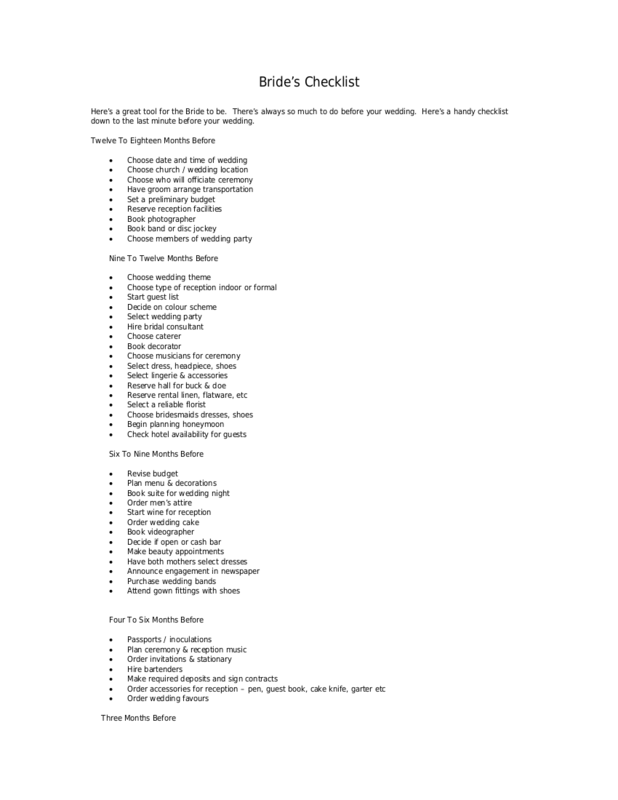 These common wedding planning decisions must be taken into consideration in making and writing for the bride’s checklist. Usually and traditionally, the groom is the one who has the higher percentage of the budget of the wedding, nowadays, both the bride and the groom would equally share in the expenses. And just like a preparation for a family life, the bride would already have the budgeting of the wedding preparation as a kick start of her role in the family which is to budget the expenses. This task is a task of both the bride and the groom but there are some brides who tend to have what we call as a “dream wedding” ever since their childhood days which they would like to make it come true. Some brides already have a planned date and venue of the wedding and what’s stressful about it is when there are uncontrollable variables that would make their childhood plans and dreams impossible to achieve. This would cause a lot of changes that would stress the bride out. Brides could be very particular on how their wedding day would look like. Some would want a minimalistic approach while some would want a splash of colors. For the planning, this should be carefully planned out since any possibility that there will be sudden changes; the bride would take time to accept the changes. The logistics matters of the wedding are what brides would really fuss about even if these things are just like an icing on top of a cake. However, despite that is just an “icing” to some, this part is what makes every wedding memorable to the bride, the groom, families, friends, and the rest of their guests. The guests include the families and friends that could either be a part of the wedding ceremony or just a spectator. The other people that are involved in the wedding is sometimes considered as the biggest cause and part of the stress in every wedding. There are stage parents who also want to be a part of the wedding planning process and who would often get mad if their decisions are not taken into consideration by the bride and the groom. There are relatives and friends who would agree to be a part of the wedding ceremony but would back out at the last minute. All these instances caused by the guests of the wedding would also cause stress and arguments to both bride and the groom. Let’s discuss again the “bridezilla” and how common this is in every wedding planning situation. 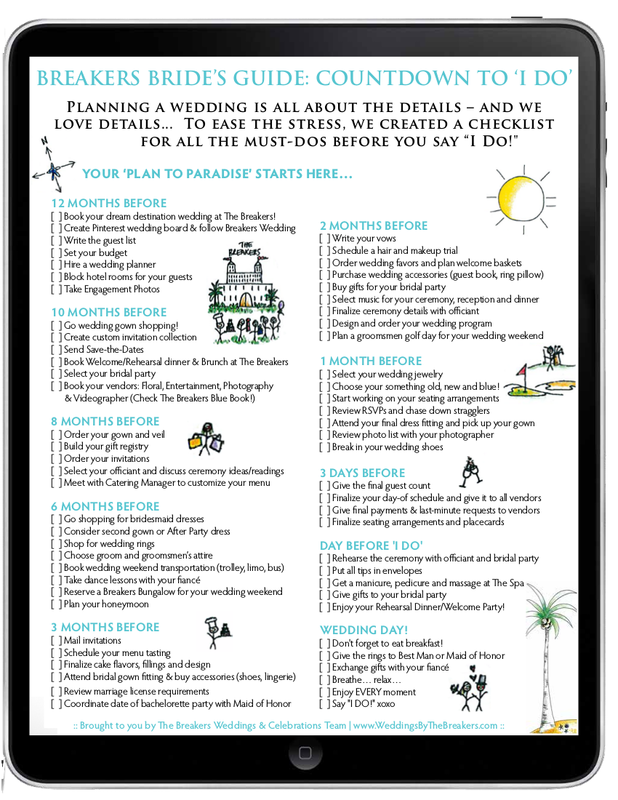 With all the things that should be thought over and plan about, the bride will exert a lot of effort in order to make things carefully planned out. This has brought about the concept of “bridezilla” which is derived from a fictional, movie monster, “Godzilla.” It is unnerving that brides are being considered monsters when in fact, all they were doing is just being concerned with how their wedding, one of their most awaited days in their lives, would turn out. 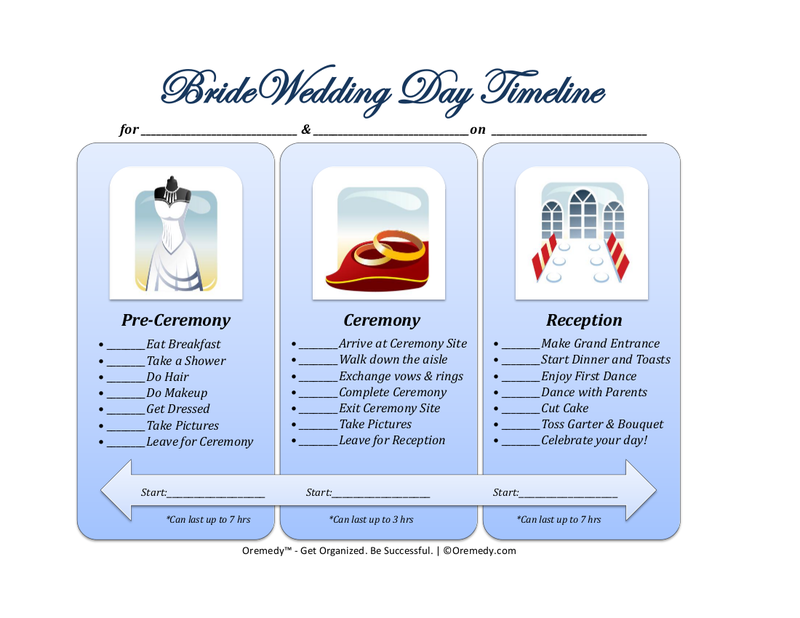 Since it all the wedding preparation process are being written down on checklists, it possible for brides to be able to monitor every single thing in the wedding process. From the least important details but they still fuss over about up to the most critical details of the wedding preparations, brides can still monitor, supervise, and manage. 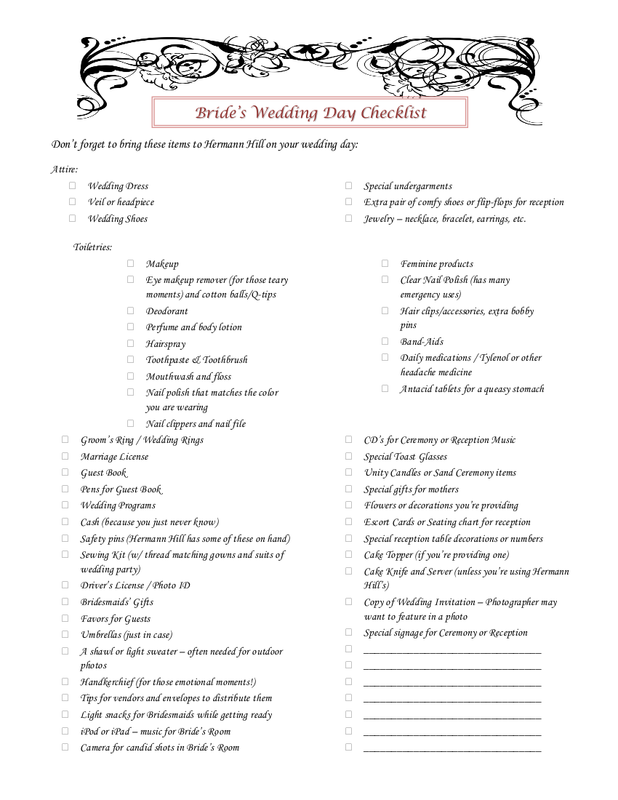 Since wedding preparation can tend to get messy but with the help of a comprehensive and detailed checklist, brides will have everything under control. When writing checklists, things and tasks that are similar and related are being categorized into single umbrella. 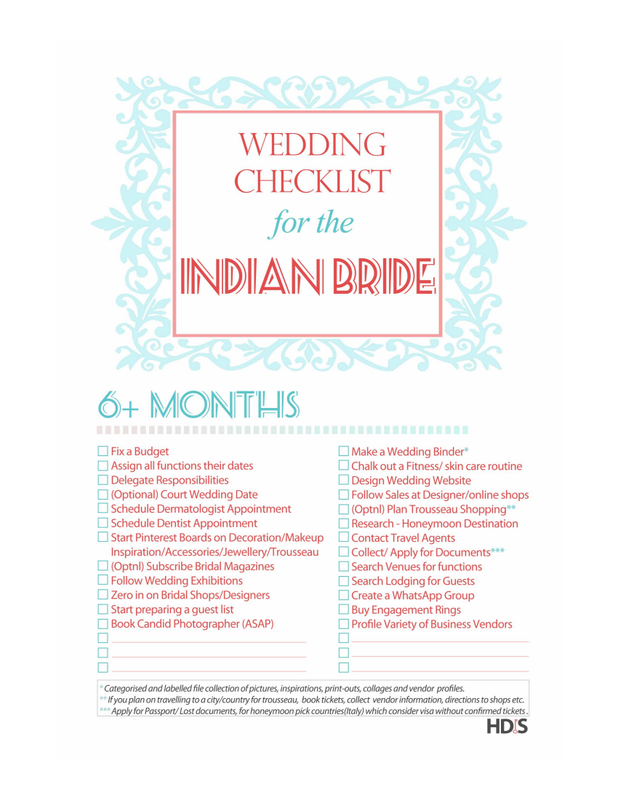 This can be helpful in identifying what should be prioritized in the wedding preparation processes. The ones with high priorities will be dealt first and the ones with the least importance will be dealt with after all the important ones are accomplished. Once the priorities, both high and low, are established, this would enable the bride to have a room for any parts of the wedding preparation that needs improvement. It is not easy to have changes in the plans when everything has already been set in the first phase of the planning but with checklists that have an established and clearly laid out priorities, any room for changes are welcomed.